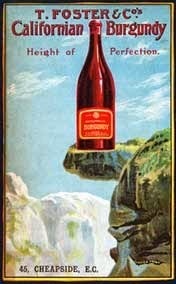 I was surprised to learn that our valley was at one time covered with vineyards. 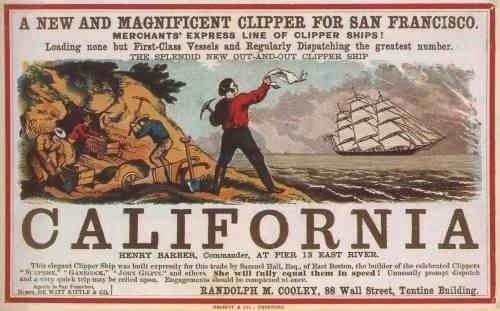 During the Gold Rush, entrepreneurs were attracted to our fertile South Bay Valley so they could produce wine, brandy, and other products and goods, for the influx of immigrant miners flooding into San Francisco. As I state on my Wine History page, some East Coast sea captains (who brought miners to San Francisco), migrated to the fertile Santa Clara Valley, where they bought property and planted vineyards to produce the fortified wine and brandy so popular at the turn of the century. The East Coast already had a thriving wine and brandy culture in New England, with some vines imported from Europe, so these captains brought wine making and distilling skills with them, along with a desire to produce spirits for shipment to San Francisco, which was thriving due to immigrant prospectors seeking lodging, food, wine, and a way to spend their new fortunes. The French were attracted to the Valley due to economic tumult in France during the Revolution, and the promise of riches from California gold. Antoine and Delphin Delmas were early French immigrants who were instrumental in starting Valley nurseries which imported wine grapes from the East Coast and Europe, to replace the disappointing native California grapes, which did not produce remarkable wine, yet attracted the early Mission settlement in Fremont, since those native wild grapes were prolific along Valley streams and hillsides. Charles LeFranc, another French Gold Rush immigrant, bought land for his New Almaden Vineyards, and is considered to be the father of commercial wine production. Philippe Prudhomme, Pierre Sansevain, John Auzerais, and others, also immigrated to the area and were considered to be fathers of local wine production and grape importation, during the Valley's wine heyday. Many early imported vines came from New England and were of the Vitis Vinifera variety. 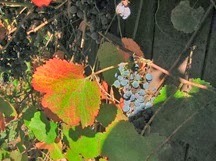 The early "Black St. Peter's" version of this varietal was identical to Zinfandel, and was widely planted or grafted onto the Vitis Californica root stock. By 1860, it was considered to be the premier California wine grape, and in 1858 Delmas won awards for his "French Claret" made from his grafted Black St. Peter's grapes. The French Prune, Apricot and Cherry orchards of Blossom Hill are well known, yet Stevens Creek Boulevard, Branham Lane, Delmas Avenue, Pierce Road, Naglee School, Portal School, and other familiar roads and landmarks, are named for early vineyard owners who also excelled in other aspects of civic life. Like those men, Leland Stanford was another early vineyard owner. Stanford's ancestor, Thomas Stanford, emigrated to America in the 1700's and settled in Massachusetts. Leland Stanford, Sr. was born in New York where his father was a farm owner. He became a lawyer and practiced in New York and Wisconsin, until his law library and offices burned in a fire, and he decided to join his five brothers out West in California. Jane's family would not allow her to move West with Stanford, so she remained in Albany, New York. Stanford opened a store for miners in Placer County and became Justice of the Peace, then helped organize the Sacramento Library Association (now Sacramento Public Library.) 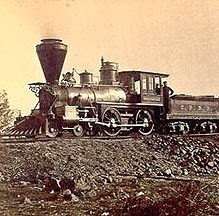 He rejoined Jane in Albany in 1851, but found Eastern life too dull after life in California, so Stanford and Jane moved to San Francisco in 1856, where Stanford joined Charles Crocker, Mark Hopkins and Collis P. Huntingdon, the so-called "Big Four," in creating the Central Pacific Railroad, incorporating in June 28, 1861. That same year Stanford was elected Governor in California, served for the required two years, then became involved in the Pacific Union Express Company, which would eventually merge with Wells Fargo and Company, where Stanford was elected Director and would serve almost consistently in that role until his death in 1893. After profitable railroad pursuits Stanford became enthralled with wine-making after travel to France, bought agricultural property, and planted vineyards not only in near Menlo Park, but in Tehema County. The old Stanford Winery today. Stanford's property near Menlo Park, nicknamed "The Farm," not only had 900 horses, but a vast 158-acre vineyard which produced 60,000 gallons of wine per year. The old town of Mayfield, now where California Street sits in Palo Alto, was once the home of 13 saloons. Stanford wanted the entry gates to his new university to reside on Stanford Avenue near Hanover Street, if Mayfield residents would only vote to "go dry." Mayfield residents rejected Stanford's offer, so Stanford asked Southern Pacific Railroad owner Timothy Hopkins, the adopted son of Mark Hopkin's widow, Mary Hopkins, to purchase 700 acres of private property North of the university, and sell off small lots. This community became known as University Park and was later incorporated as the town of Palo Alto. Jane Stanford was also active in local efforts to have Mayfield became a hub of the "dry town movement" designed to ban saloons within the city limits. 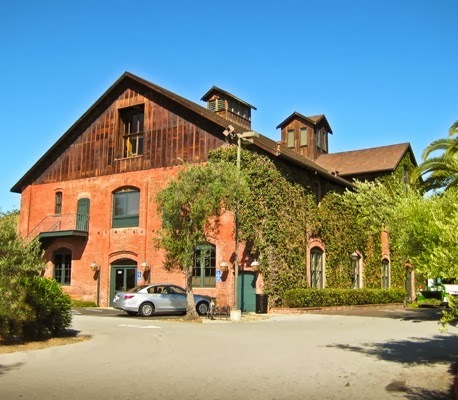 The Menlo Park-area vineyards were converted after his death by Jane Lathrop Stanford, however the winery building was preserved. Stanford's old brick winery is used for shops and restaurants, on the West edge of the Stanford Shopping Center complex. We do not have a Wine History Center in Santa Clara Valley to remember these early winery and vineyard owners, despite the fact that wine and vineyards were the bedrock of our early economic history, and these men were notable for so many other civic accomplishments. One of those notable men was Henry Naglee. 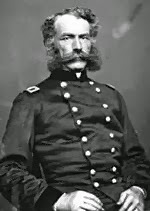 General Henry Morris Naglee was particularly interesting in regard to our early history, since he was a Civil War Veteran who was also active in the Mexican-American War which ended in 1848. 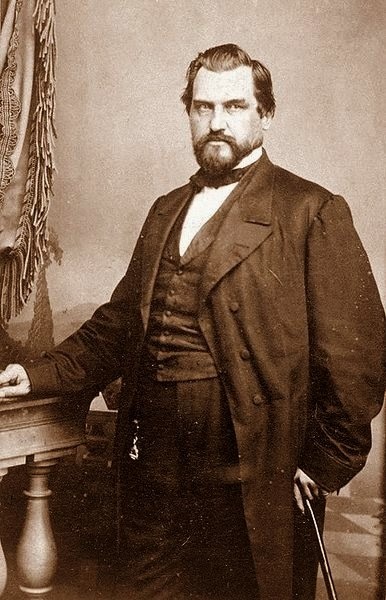 Naglee bought land in East San Jose in 1852 and planted vineyards on returning from his last campaign, after travel to Europe where he visited Cognac and studied brandy production. From his efforts to produce a clear brandy from grafted, high-quality Riesling, Pinot Noir, and Charbono grapes, San Jose became a center of brandy and fortified wine production. Naglee won numerous awards for his "white lightning," not because it was like French brandy, but because it was considered to be excellent even by 1940, when remaining bottles were tasted by local experts. His daughters sold off much of the estate after his death, and there was eventually a monument in his memory erected in Saint James Park. Naglee was quite a character and more information about him has been documented by local historians, notably, Charles L. Sullivan, Jack Douglas and April Halberstadt. Because Phylloxera and The National Prohibition Act (also called the Volstead Act) had such a devastating effect on Santa Clara Valley vineyards and wineries, the vines were lost to inter-planted fruit trees, and the valley turned towards stone fruits for economic survival. Only a few hearty vine growers and wine making families held out during Prohibition, along with the Novitiate, which produced sacramental wine for parishes in the state. Of those, Paul Masson, Pellier/Mirassou, Kirigin, Martin Ray, along with Guglielmo and others, still retain historic vineyards. 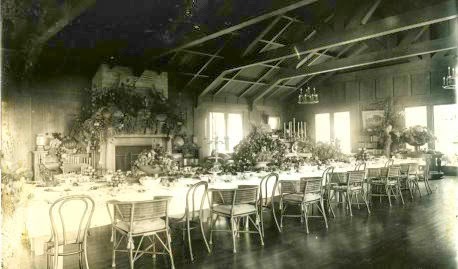 Also of interest are the Tevis vineyards and the Swiss Chalet-style mansion which were located on 1,071 acres above what is now Lexington park and reservoir, now part of The Mid-Peninsula Regional Open Space District's Bear Creek Redwoods Open Space Preserve. The Tevis vineyards and mansion were acquired in 1906 by Dr. Harry Tevis (son of the millionaire entrepreneur and 1872 Wells Fargo Bank President, Lloyd Tevis.) Photo's of the estate may be found in the Novitiate Collection at Los Gatos Library. Dr. Tevis purchased the property from James C. Flood, owner of the 1871 stock brokerage firm, Flood and O'Brien. Flood was a colleague of Leland Stanford and one of the so-called, silver "Bonanza Kings." Flood's $100,000 investment in Virginia City, Nevada Comstock mines, eventually netted him, his partners and his investors over $150,000,000 from silver and gold, or approximately $3,000,000 per month for each year the mines were in operation. Dr. Tevis sold the property to the Sacred Heart Novitiate in Los Gatos, who then built Alma College on the site in 1943. Alma College was the first Jesuit Theological Seminary on the West Coast and Governor Jerry Brown was once a student there. The Tevis Mansion burned down on New Year's Eve night, 1970 and the property was sold to a Hong Kong casino owner in 1989, when it was slated to be developed as a gold course. According to historical records, Novitiate wine from early Tevas vineyards was used to try to douse earlier fires on the property. The story of our Valley's wine industry exists side-by-side with the stories of immigrants who came to California, not only to follow the Gold Rush and it's related industries, but to escape from wars, revolutions, famine, ethnic repression and extermination, and capture the promise of a better life. That story continues today, although the industries now have changed to a more diverse economic culture. Development of the local Wine industry at Old Almaden Winery in 1852, created a cultural phenomenon in the Bay Area allowing our region to become a Mecca for food and wine lovers, wine retreats, wine and cooking weekends, Wine and Art festivals, wine tasting tours, and wine history, just over two centuries since the first Mission grape was harvested for sacramental wine at Mission San Jose, now located in Fremont. With the addition of Native American, South American and Pacific Rim cultures, plus their traditional foods and new ethnic markets, we have a solid immigrant culinary base with a deep affinity to our local wine culture. From that shared experience, we have strong local cultural support for organic, sustainable, locally-grown foods, breweries and wineries. It's hard to believe that some of us are only a generation or two away from our own immigrant roots, while some of us are just beginning our journey as today's entrepreneurs. Our wine history shares much of it's past with Santa Cruz, Sonoma and Napa Counties, where Santa Clara Valley families moved their wine making facilities after Prohibition and the housing boom here in the 1950's. If you explore those Santa Cruz, Sonoma and Napa Valley family names, you will see a similar salute to rugged and determined immigrant families who brought their native skills to the wines and vines of California, then stayed on to build civic centers, libraries, hospitals, and community places of pride and service, for today's families. For more information about California Wine History, please see my Wine History Page and explore the wonderful books by Charles L. Sullivan, who taught a Wine History course at De Anza College for many years, and who was honored by the Wine Literary Foundation in 2008 for his exhaustive and intelligent work as a regional wine historian.